Updated Thursday May 24, 2018 by AUBL Miami. AUBL Miami is proud to present it's newest sponsor Roasters 'N Toasters! The best deli in Miami! 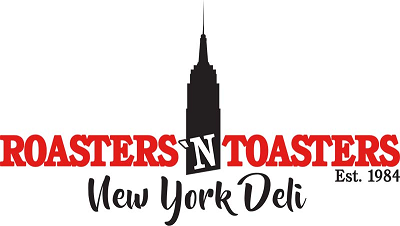 They use all fresh ingredients to create an authentic "New York Deli" experience. Call them today (305) 233-2377. The Falls location is now open for dinner! They are open until 9:00 pm weeknights and 10:00 pm on weekends. Come try the traditional turkey dinner, brisket dinner, reuben sandwich and more! They also serve all of your favorite breakfast dishes for dinner.